On Sunday, June 10 we had the Backlash, Capt. Cheryl, Rebel, Top Notch & one of our overflow boats offshore. The WaveRunner also spent the afternoon fishing inshore. The Backlash and Capt. 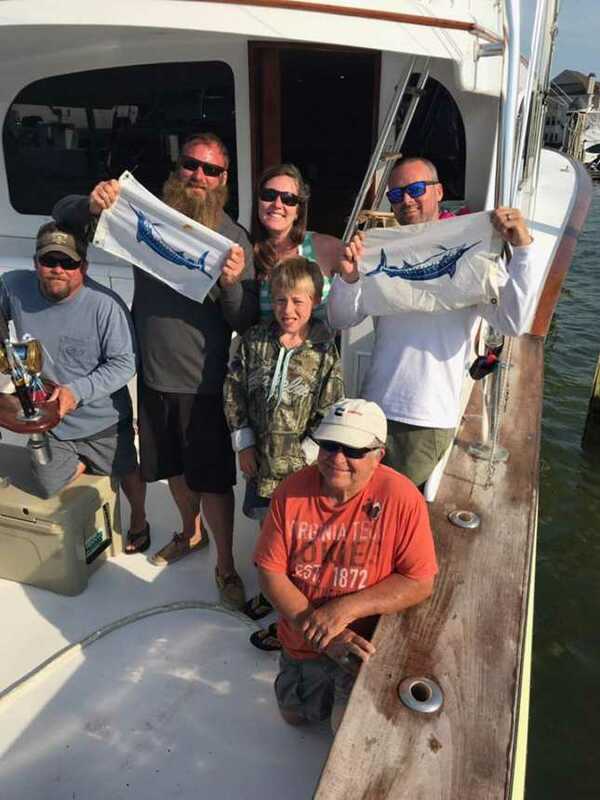 Cheryl both spent some time deep-dropping and had good catches of Blueline Tilefish and Seabass. 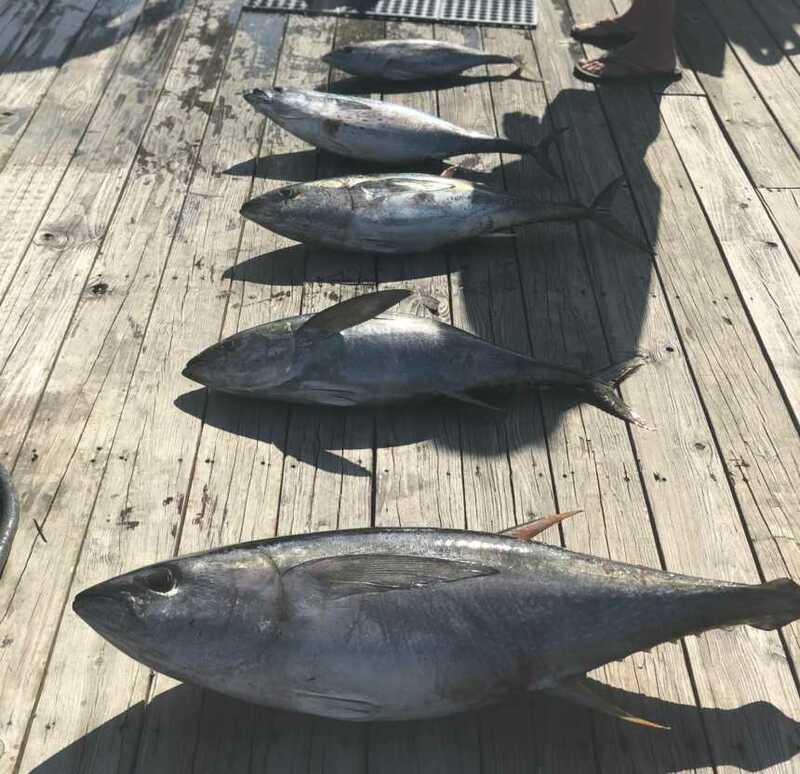 The Rebel and Top Notch both returned with a good catch of Dolphin and the Top Notch also brought home a few nice Yellowfin Tuna. 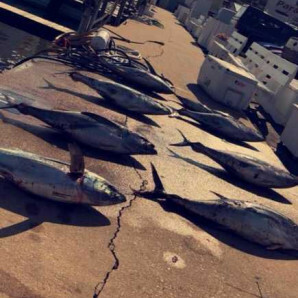 The WaveRunner spent their day trolling around the beach and caught some nice Spanish Mackerel and Bluefish! 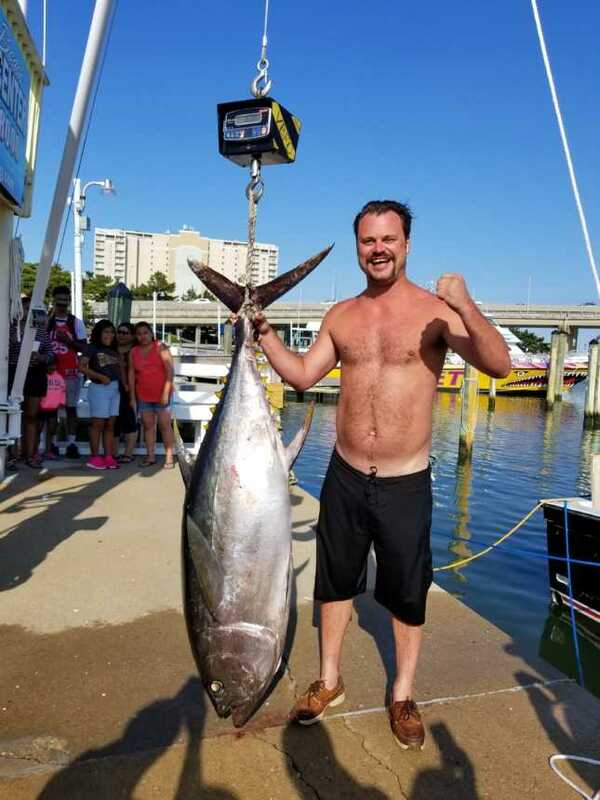 One of our overflow boats also brought in a really nice Big Eye Tuna from offshore that you see in the picture! Overall, a great day was had by the fleet! 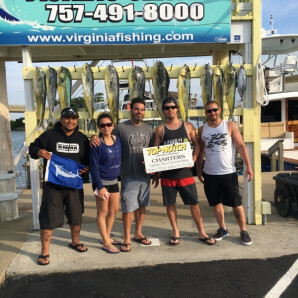 On Saturday, June 9, we had the Backlash, High Hopes, Rebel, Top Notch, WaveRunner & one of our overflow boats offshore as well as the Capt. Cheryl inshore! 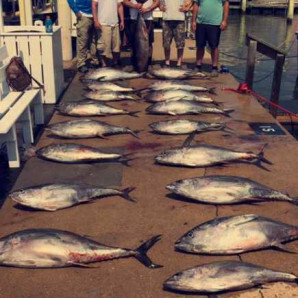 All of our offshore guys returned to the docks with an awesome catch of Dolphin. The Backlash and the WaveRunner also returned with a few really nice Yellowfin Tuna. 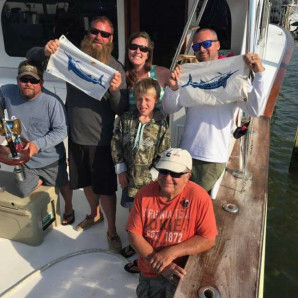 The Top Notch returned to the dock with a great catch of Dolphin but also flying a White Marlin flag! Inshore, the Capt. 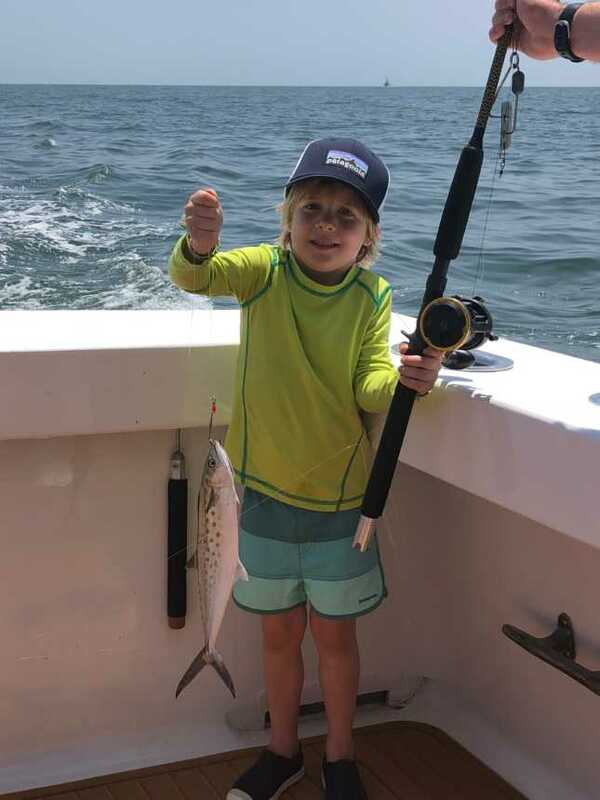 Cheryl spent the afternoon catching Spanish Mackerel and Bluefish! Yesterday, the Rebel and Backlash both headed offshore and had incredible days! 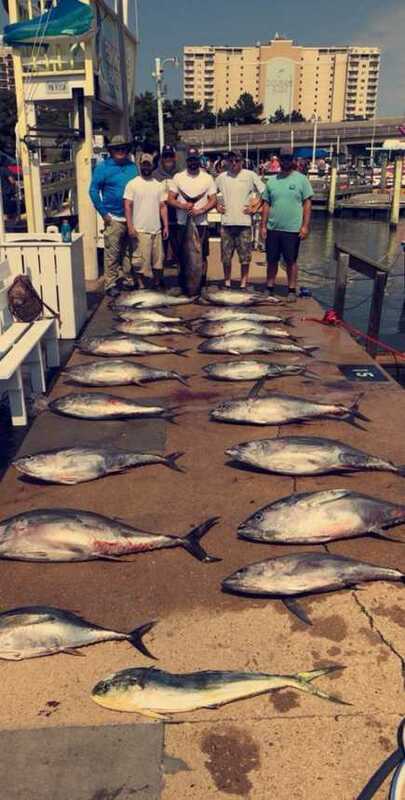 The Backlash returned early after filling up their fishbox with an awesome catch, including a citation 78# Yellowfin!! 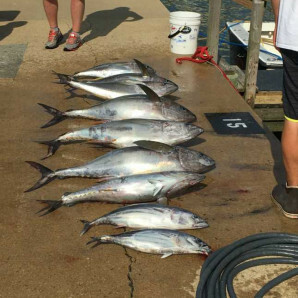 The Rebel also came back with a full fish box of Yellowfin, a Dolphin and a Skipjack! Today, we have the Rebel and Backlash offshore and the WaveRunner on a half-day trip so check back later to see how they did! 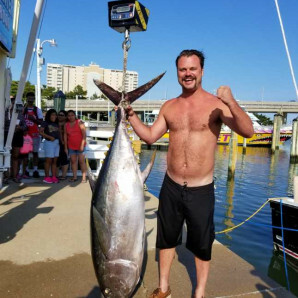 We’ve had a few windy days here but the Rebel headed offshore today and was rewarded by bringing home a nice catch of tuna! 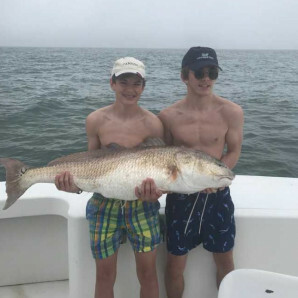 The inshore fishing bite has been picking up as well with lots of reports of nice Cobia, Spadefish and Red Drum. Inside the inlet we are getting reports of some Flounder, Speckled Trout and even some Croaker. Tomorrow, we will have both the Backlash and the Rebel offshore and will have the High Hopes inshore fishing in the morning! Check back tomorrow to see what the fleet brings home! This morning the Capt. 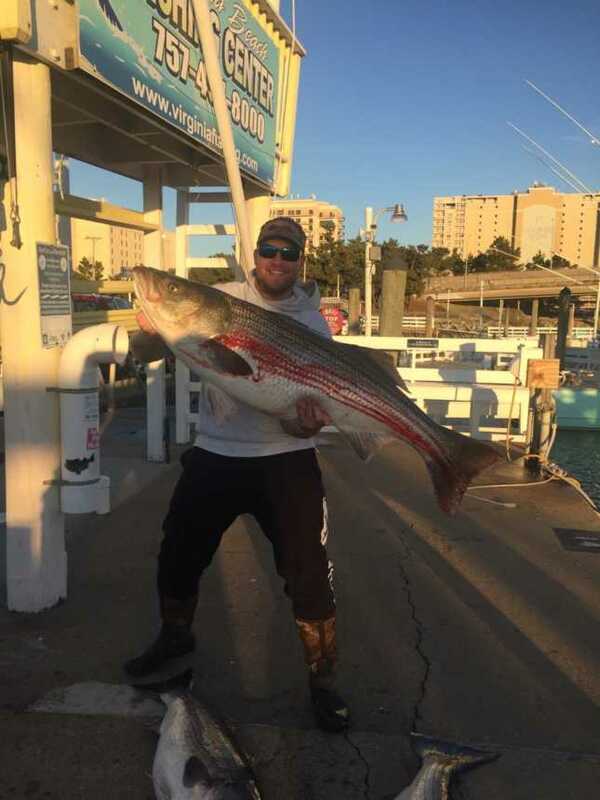 Cheryl went out on a half day inshore trip and should be returning to the docks around 12! We also had the Backlash, High Hopes, Rebel, Top Notch, and Waverunner go offshore today. 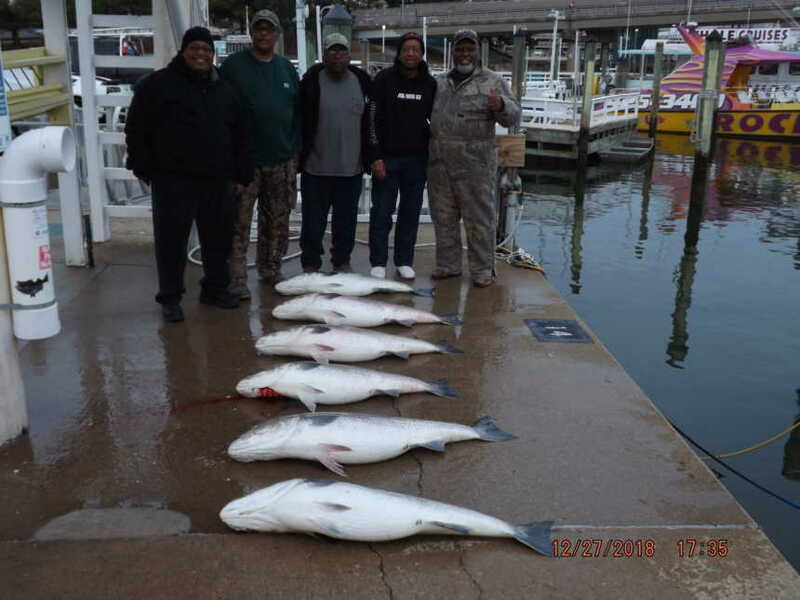 They should be back around 5pm, so stay tuned to see what they catch! The Capt. 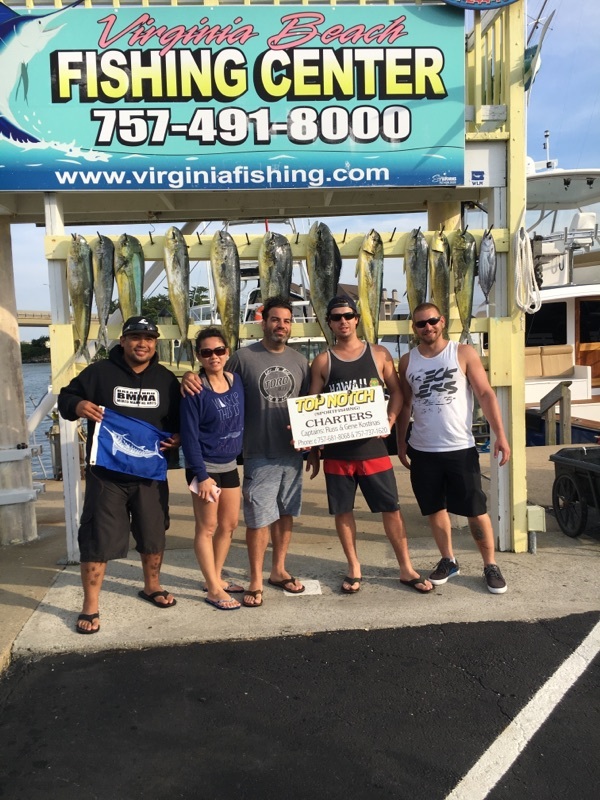 Cheryl returned to the docks with a nice catch of Spanish Mackerel and Bluefish! 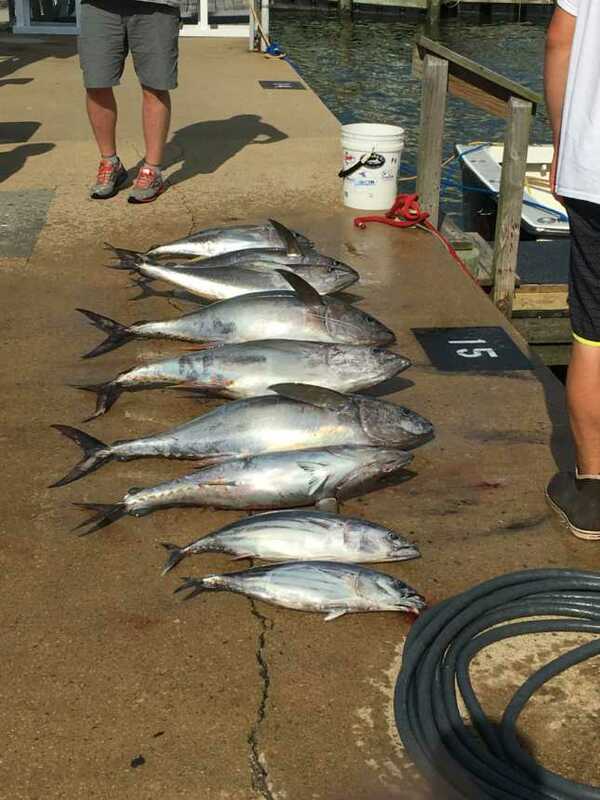 The Backlash, High Hopes, Rebel, Top Notch, WaveRunner returned to the docks this evening with nice catches of tuna! 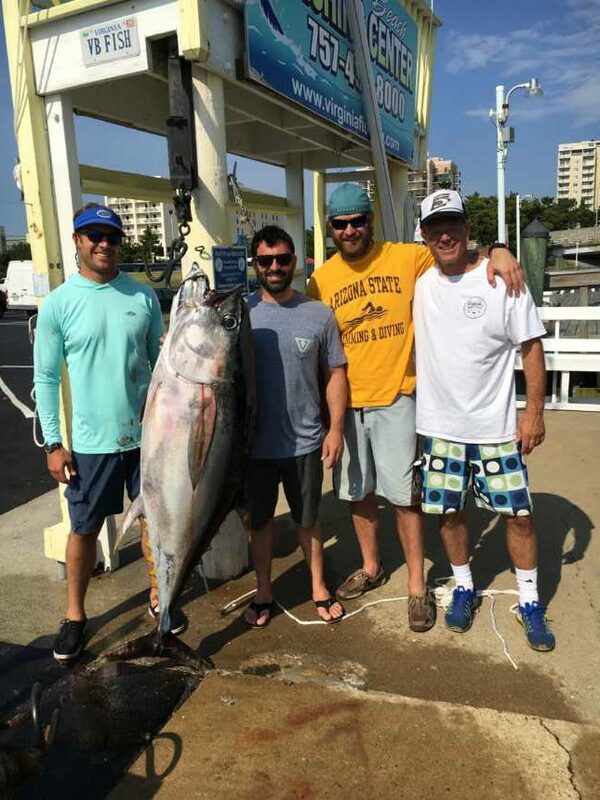 The tuna season is picking up fast so call us at 757-491-8000 to book your charter today! Yesterday, the Capt. Cheryl & the WaveRunner spent the beautiful day we had here fishing inshore! 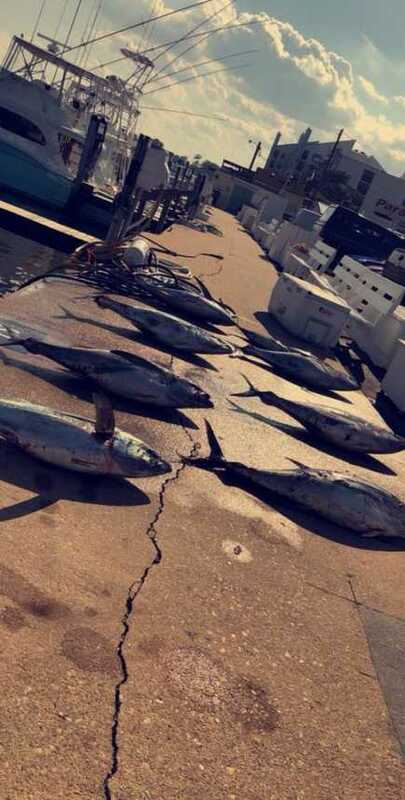 Both boats had a nice catch of Spanish Mackerel and Bluefish. The WaveRunner and the High Hopes also squeezed in a half-day inshore trip this morning before the skies opened and the rain came. 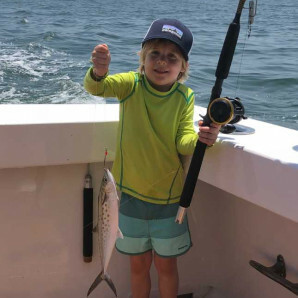 Again, there were catches of Spanish Mackerel and Bluefish! 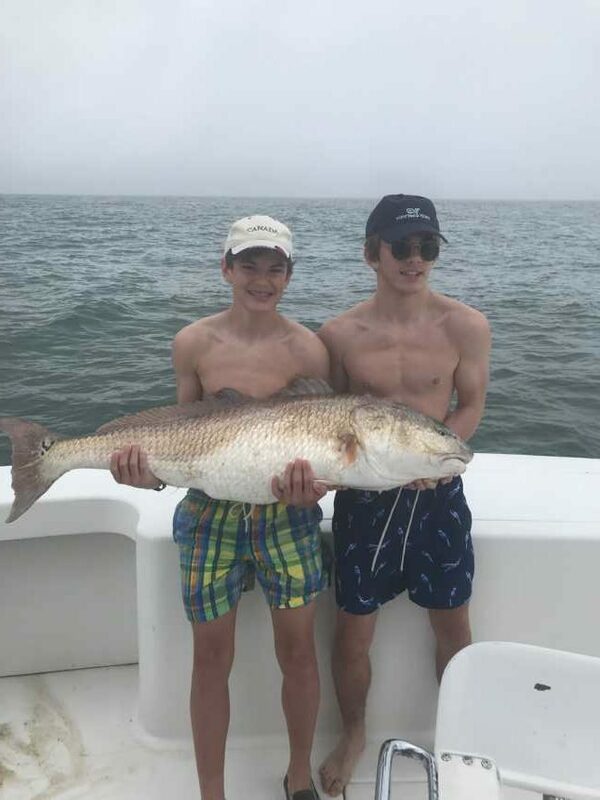 The WaveRunner also caught a very nice citation Red Drum! 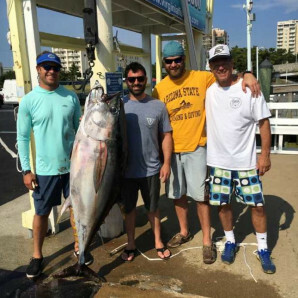 The fishing is only going to improve from here so call today to schedule your trip ! !